Fortress Of Freedom Board :: View topic - FOF Receives It's First Retail Cheque! FOF Receives It's First Retail Cheque! Posted: Sat May 19, 2007 7:21 am Post subject: FOF Receives It's First Retail Cheque! 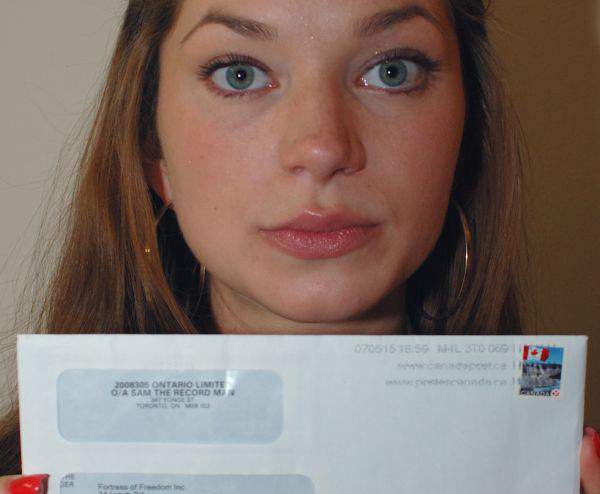 Here is Gianna showing off our first cheque! The Fortress Of Freedom Corporation is pleased to announce that we have received our first retail cheque from sales of our CDs! I just thought it important to pause and note the moment. Of course this will become part of everyday operations here, but this was our first. What makes this special for me is that it represents the culmination of the creation of the companies and the creation of the record label and publishing company and finally the retail contracts leading to our first cheque. Great going to all that helped us reach this stage and I am sure many more and larger cheques are to come! 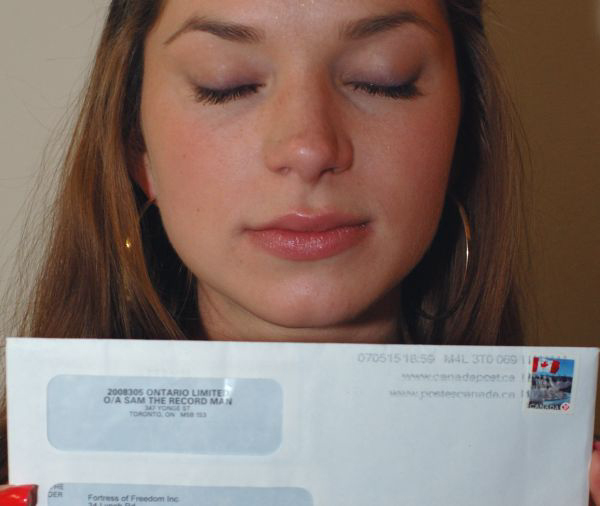 Another shot of Gianna and the cheque!